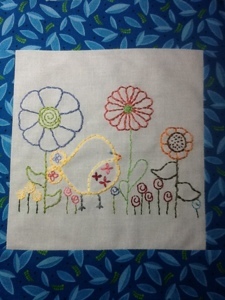 I am enjoying the progress that I can see when I do embroidery. Knitting isn't as fast. 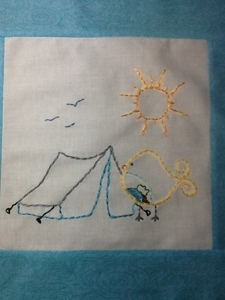 It is a neat way to blend it with quilting. The one with the flowers is May and the tent one is June.